Uncritical media reporting can fuel unnecessary fear in the community by exaggerating HIV transmission risk. This can occur in reporting minor incidents where there is negligible risk of HIV transmission. HIV transmission risk has been exaggerated in media reports involving casual contact with HIV-positive people where biting or spitting is involved, or other scenarios where broken skin or blood is present, such as sporting injuries, accidents or medical procedures. None of these scenarios involve any significant risk of HIV transmission. In over 30 years of HIV in Australia there has not been one report of HIV transmission as a result of injury with discarded needles outside of a hospital setting, e.g., from stepping on a discarded syringe. In May 2014, mainstream media reported on a Brisbane school student who was injured with a discarded disposable syringe. 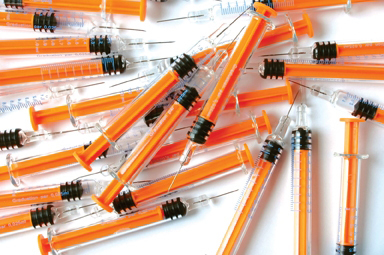 Mainstream reporting of the issue highlighted parental concerns about discarded syringes and potential HIV risks to their children, but failed to mention that the risk of contracting HIV from a discarded syringe is negligible. In fact, HIV transmission though discarded needles has not been reported once (outside of a hospital setting) in over 30 years of HIV in Australia. In February 2014 a media report circulated in NSW about a decision by NSW TrainLink officials to evacuate more than 100 passengers from a train after a man, who was reportedly bleeding from a gash on his leg, allegedly made the claim that he ‘had AIDS’ while being administered first aid by a transport officer. Media reports failed to question the validity of the decision to evacuate the train, despite the fact that there was no real HIV transmission risk to passengers. ACON (the former AIDS Council of NSW) condemned the actions of TrainLink staff as unnecessary, describing the way in which the incident was managed as a disgraceful example of stigma and discrimination against people with HIV.